When you need a lot of cake servings and don’t want a tall 5 tier wedding cake or sheet cakes, this is a good option. Satellite cakes to each side and to tie it all together I used ribbon streamers cascading down from the top tier to each satellite. 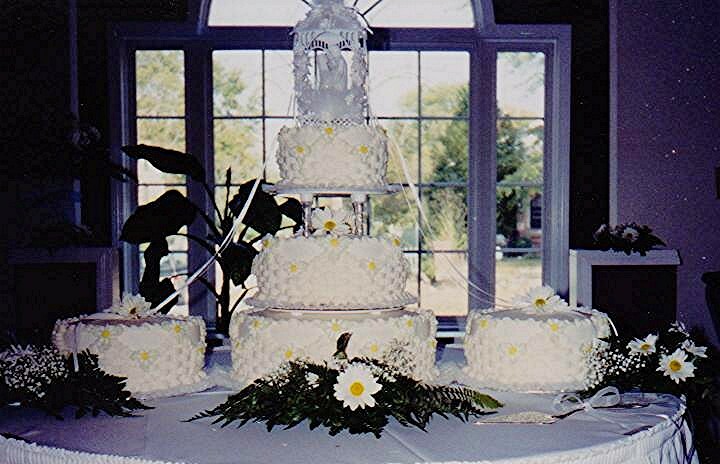 A drape with basket weave and butter cream daisies completes the cake.